EAST LANSING, Mich., November 6, 2017 – The Ohio Department of Health has selected Medical Advantage Group, in partnership with The Ohio State Medical Association (OSMA), to develop and implement a quality improvement (QI) project for pain management guidelines. The project will support prescribers in the primary care setting by implementing practice-wide and provider-specific strategies. These strategies will operationalize the Ohio prescribing guidelines for acute pain and chronic pain into practice-wide systems. “Ohio is one of the states in the U.S. hit hardest by this crisis. With this project, we can give health care providers the tools they need to stem this devastating situation in Ohio,” said Paul MacLellan, CEO of Medical Advantage Group. The project will result in implementation guidance for acute and chronic pain recommendations, as well as tools and resources that can be replicated in any Ohio primary care setting. Medical Advantage Group will collaborate with the OSMA to conduct research, develop a best practice prescription management toolkit for chronic pain, pilot test the toolkit with primary care practices, and conduct five statewide training sessions. An esteemed advisory board consisting of primary care physicians, pain specialists, and health care executives will provide input, advice, and guidance over the course of the pilot project. Medical Advantage Group brings more than 20 years of experience in implementing QI projects in the health care setting to improve patient care and help clients deliver efficient, high-quality health care. The company’s clinical and technical experts serve as trusted advisors to deliver industry-leading best practices, tools, and established methodologies that transform practices to help them succeed in value-based health care. 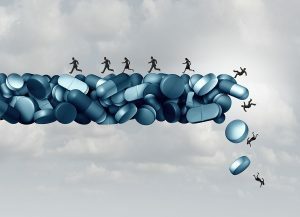 For the past decade, the OSMA has emerged as a leading voice in the fight against the opioid epidemic in the state of Ohio. As an original member of Gov. John Kasich’s Governor’s Cabinet Opiate Action Team, the OSMA has provided valuable input into the creation of the state’s opioid prescribing guidelines as well as the development of the state’s prescription drug monitoring program—the Ohio Automated Prescription Reporting system. The OSMA also developed the state’s first and most comprehensive online opioid prescribing training tool for providers. To date, more than 2,000 physicians and other health care professionals have completed the Smart Rx—Safe Medicine and Responsible Treatment—program. Medical Advantage Group simplifies the delivery of efficient, high-quality health care for medical practices, health centers, physician organizations, hospitals, and health systems. Recognized by Becker’s Hospital Review as one of the top 70 U.S. population health management companies, Medical Advantage Group maximizes health care provider’s performance in value-based contracting. Medical Advantage Group is a wholly-owned subsidiary of The Doctors Company (thedoctors.com), the nation’s largest physician-owned medical malpractice insurer with 80,000 members. To learn more, visit www.medicaladvantagegroup.com. The Ohio State Medical Association (OSMA), based in Dublin, Ohio, is dedicated to empowering physicians, residents and medical students to advocate on behalf of their patients and profession. The OSMA is the largest and oldest statewide physician-led association in Ohio. It is affiliated nationally with the American Medical Association and locally with county medical societies. To learn more, visit www.osma.org.